Over the past decade, RSM Federal's team has been honored to provide some of the most valuable, educational, relevant, and thought-provoking training sessions at many of our nation's largest government conferences. In most cases, our training sessions and keynotes are rated the #1 session at each event. If you are with a Federal Agency and would like us to support your conference, please visit the Speakers Bureau. For upcoming conferences and events where RSM Federal is presenting, please check-out our Event Calendar. I've been in business for 10 years, including being an Inc. 500 winner and this is the best session I have ever attended! John Coster, Shoulder2Shoulder Inc.
As a former Federal contracting officer with over 16 years of experience across the spectrum of contracting (services, commodities, constructions, R&D, etc.) I have sat through countless training sessions in many venues. Now as a business owner, I recently found myself at a conference where RSM Federal was presenting information in a breakout session titled, “How to Competitively Respond to Sources Sought (SS) and Influence the Acquisition.” While there were other breakout sessions to choose from, this one intrigued me because so many times I’ve sat through similar presentations where the “expert” portrayed the purpose of market research completely wrong and left the audience worse off than had they not attended. I wanted to attend this session so that if bad information was shared I could potentially provide an alternative viewpoint. However, the information RSM Federal presented was so on point, I left there after a one-hour presentation having learned something new myself, even with my many years of experience. RSM Federal was able to accurately hit on a lot of what motivates the government when issuing sources sought notices and requests for information and how best to take advantage of those from a business perspective. In addition to the excellent information provided, there is very clearly a passion for helping businesses navigate the Federal procurement process which really facilitated a lively and interactive discussion. No doubt, ANYONE who employs the services of RSM Federal will be far better off for doing so!”! Best Presentation I Have Ever Seen - Creative and Inspiring! BEST Seminar I Have Seen In 13 Years! The best presentation at the 2013 National Veterans Small Business Conference. Your presentation on how to seek business with the Feds was the best I have seen in 13 years of hearing how to do business with government. I wish every small business could see it. It would have saved me hundreds of hours it took to learn how it really functions. 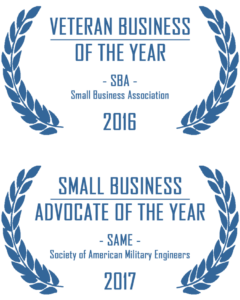 And your comments about putting the SDVOSB or whatever designation last are right on, its time for some tough talk with small business about what it really takes to do business with any government agency. A fast moving and informative session presented by a motivated speaker. I've been to six National Veterans Small Business Conferences and this was one of the most informative sessions I've ever attended. David Holman, Northeast Technologies Inc.
You Need A Larger Audience! This was the MOST informative session I attended at the National Veterans Conference. The specific guidance on expectations of large primes you provided was critical. John Penders, Mainsail Group Inc. I came to the session late. . . judging by the last ten minutes of the session, I made a mistake by not attending the entire session!! Sarah Cole, O'Brien Engineering Inc.
Best Session at the National Veterans Small Business Conference! Excellent presentation and very informative. It was the most informative session at the conference!